Connor Andrew Peckham, 18, of Portsmouth, passed away of an unexpected illness on April 1, 2019. 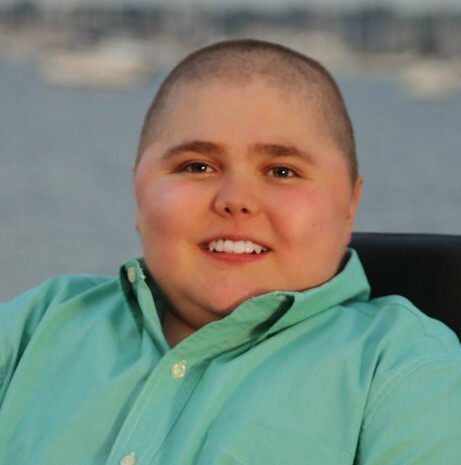 Connor was born on June 10, 2000, in Newport, to Dwayne Peckham and Patricia (Hurley) Peckham. Connor was a senior honor roll student at Portsmouth High School and was a proud member of the marching band drum line and symphonic band. He was the MDA Shamrock Ambassador and game announcer for Unified Basketball. Connor had a passion for music, especially classic rock. He was also an avid fan of New England Sports teams. He loved spending time with his family and friends and loved making people laugh. Connor was a spark; his spirit was indomitable. His teachers and peers will never forget his bright smile, his huge heart and his warm, gentle nature. Connor’s strength, wisdom, and courage has touched so many lives, and he will forever be remembered by the Portsmouth High School community. Connor is survived by his parents, Dwayne Peckham and Patricia Peckham of Portsmouth, his grandparents, Ralph and Diane Peckham, also of Portsmouth, his aunt Melinda Viera of Warren, his uncle, John Hurley of Centennial, Colorado and his aunt Lisa Hurley, plus many cousins. He was preceded in death by his brother, Andrew Peckham, Grandparents Edward & Arlene Hurley and Aunt Susan Hurley. Visiting hours will be held on Sunday, April 7, 2019, from 2:00 PM to 4:00 PM, for members of the Portsmouth High School community and their parents. Please be respectful of the time for the students, teachers, and parents. All other friends and family are welcome to visiting hours from 4:00 PM to 6:00 PM. All hours will take place at the Connors Funeral Home, 55 West Main Road, Portsmouth. A Mass of Christian Burial for Connor will be held on Monday, April 8, 2019, at 10:00 AM at St. Barnabas Catholic Church, 1697 East Main Road, Portsmouth. His burial will follow at Newport Memorial Park in Middletown.